1 Blemished Available: $31.50 This item is available as a Blem/Refurb. These are items that cannot be sold as "New" merchandise and are limited to stock on hand. See the product details for a description of the product's condition. 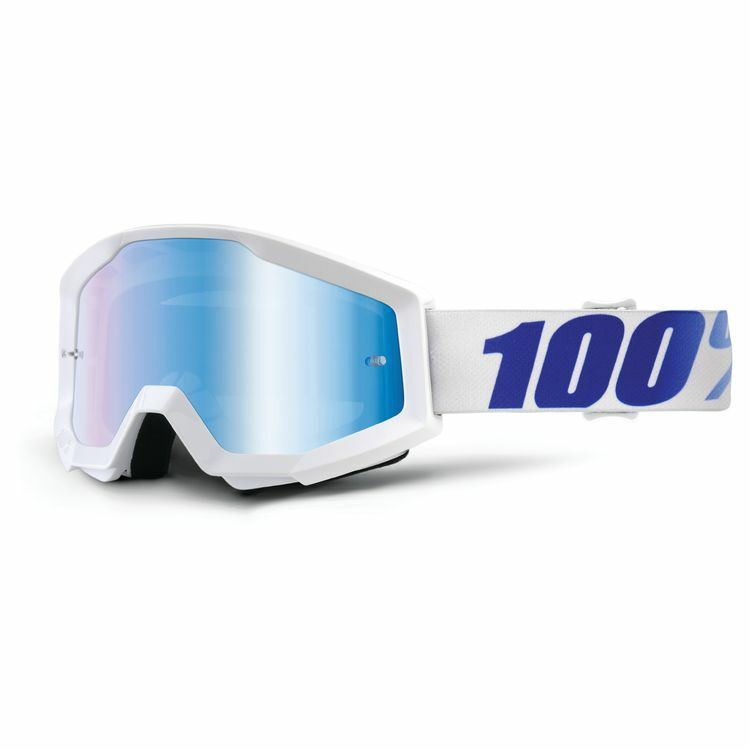 The 100% Strata Goggles are purpose-built for exceptional performance and comfort. The Strata arms you with high-end features at a value that enables you to put in those extra laps. Good fit up with my HJC helmet, and still comfortable after several hours of riding. I picked these up at a local shop in town. Getting back into dirt ridding and didn't want to spend hundreds on gear. I picked up the Slash/Mirror Red. Fits over my glasses decently. Doesn't 100% seal around them but will work very well. The tinting on these is a light blue and it's split in levels. Top and bottom is a blue and the center of the view is just a regular tint. Nothing crazy. Wore this on a quick trip to town and they offer great protection from the bugs I encountered, they ventilate very well and the foam is extremely comfortable. Best bang for the buck set you could probably buy. Comes with soft cinch bag for storage, only has 1 lens as well. I use these for urban commuting and I could not ask for better at $35! Own a pair currently and wanted another in a different color. Great Product! 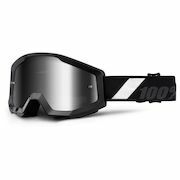 can these goggles be worn over glasses comfortably?